Choose Speed from the menu and adjust the slider control. You can also play back the animation clip on a frame by frame basis, either forward or backward. To do so, drag the slider below the animated picture to the left or right. You can resize this window the way you would any window, by dragging a corner in the appropriate direction. Keep in mind, however, that the image in the window is a bitrnap and therefore subject to distortion when resized. You can minimize this distortion by keeping the aspect ratio (height to width) constant when you resize. To do this conveniently, click on the button to the right of the play button and choose View from the context menu. The window is collapsed shut since no animation clip has been opened. To open one, click on the button to the right of the play button and choose Open from the menu. You’ll see an Open File dialog box which you can use to locate and open the Windows AVI file you want to play. Once you’ve loaded a Windows AVI file, you can proceed as described in the previous section. 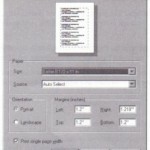 • Insert a hyperlink in your worksheet to an AVI file by choosing Hyperlink from the Insert menu. You may attach the hyperlink to a plot, a graphic, a text region, or any other region in the worksheet, and the AVI file you link to may be located on a local or network disk drive or on the Internet. Once you have specified an AVI file as the target of the hyperlink, you launch it simply by double-clicking on the hyperlink in the worksheet. The AVI file then plays in its own window. “Worksheet Management,” for information about creating hyperlinks. • Create a shortcut to the AVI file in your worksheet by dragging the icon for the AVI file from the Windows Explorer and dropping it into your worksheet at a blank space where you want the animation to appear. 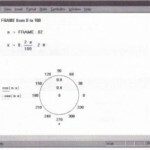 The first frame of the animation will appear as a picture in your worksheet. To activate the shortcut, click on the picture of the first frame and click on the play button that appears at the bottom of the picture. 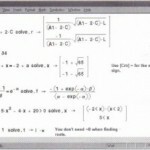 Although the AVI file remains external to your Mathcad worksheet, it plays in place in your worksheet. 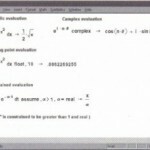 See Figure 27 -4 for an example. 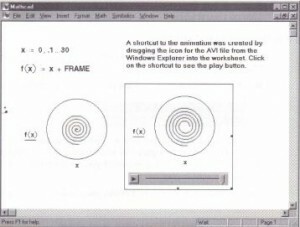 A Mathcad worksheet containing a shortcut to an animation.